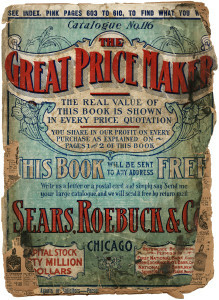 I purchased an original 1907 Sears, Roebuck & Co. catalogue online recently and I was excited to find it in my mailbox yesterday! Unfortunately, the pages are dry and brittle, and crumble easily. This is what I saw when I unwrapped the package. Many of the pages are too ruined for me to scan any decent images from but many, many more pages, or partial pages, are intact and will be fine for me to work with. I’ll just have to be extremely careful with each page I touch because the paper tears and crumbles easily. 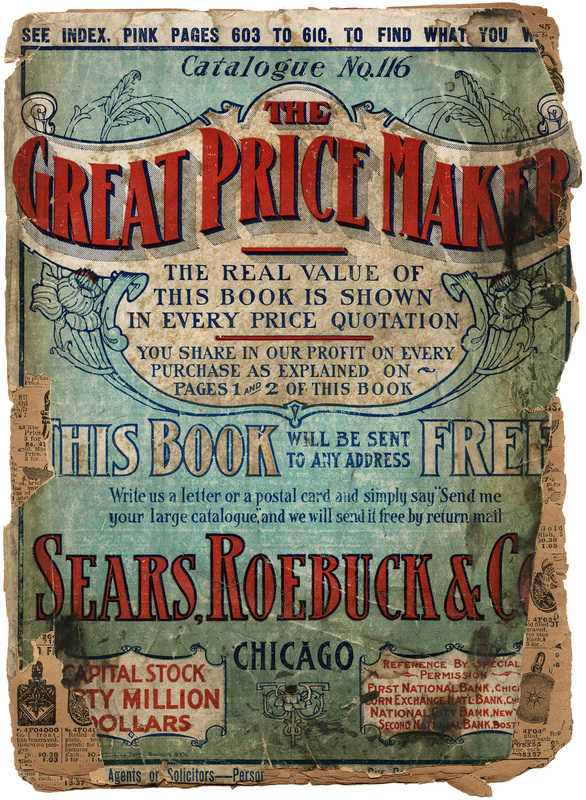 I look forward to sharing some of the vintage images from this catalogue with you – before it turns to dust! 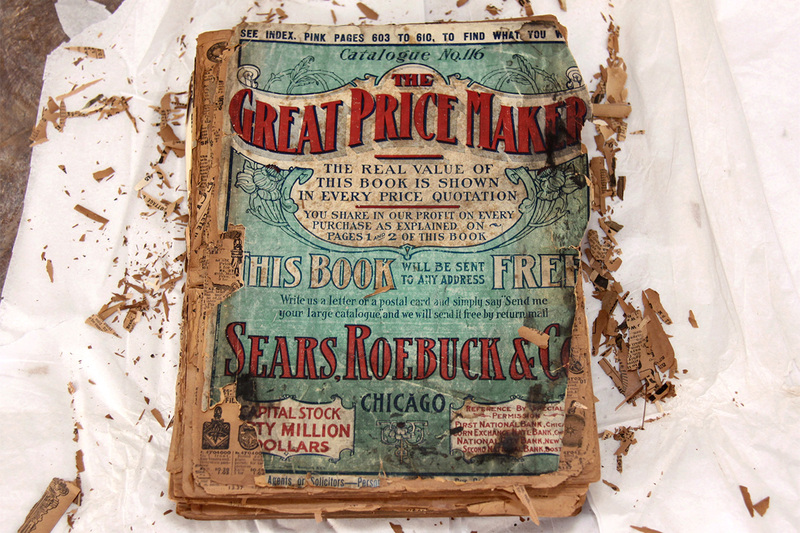 For starters, here is the aged, partially crumbled, cover page. Click on image to enlarge. I brought a copy from an auction a few years back. I paid $5.00. The catalog is missing the following pages 25 -76, 91 – 98, 101 – 258, 261 – 344, and 1169-70. Amazing ,with almost 300 pages missing, it still looks like a full catalog. Though the pages are browning , they are not brittle. I keep my copy in a stored open plastic magazine bag.I too have much enjoyment.